Sri Sri Radha Gopi Vallabha Ki Jai!! Please accept our humble obeisances! All glories to Sri Guru and Sri Gauranga! The Centre of Gravity of an object is defined as that spot where the entire object acts, if you balance at that spot, the objects stay balanced. The idea is that if we balance on our own true centres, we will be balanced also, in all respects. Most of us feel out-of-balance in one way or another. If we focus on our job, our family could get neglected. Focusing on the children could mean neglecting the spouse. If we focus on our family, our community could get neglected. If we focus on service to humanity, we could end up neglecting our own health. A strong focus on our own health might end up making us callous to others. Even if just focusing on ourselves, focusing on the physical could end up neglecting the emotional and mental aspects... It seems hopeless! Is there a solution? What is the solution? How to find and focus on our true centre? HELP! Enter 2 souls who have mastered the essence of balance. Join us at ISKCON Scarborough to learn from two advanced specialists of balance... His Grace Sriman Sankarshan Das Adhikari, and Her Grace Vishnupriya Devi Dasi have been focused on finding and focusing on our true Centre for over 5 decades each. They travel around the world, visiting more than 40 destinations each year, tirelessly speaking, writing, guiding, and practically helping souls all over the world in being fully and practically centred. Come hear from them! Ask them your questions! Get clear, concise, and practically applicable answers! 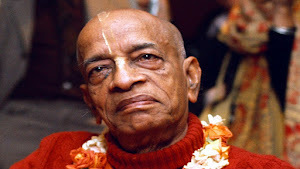 Sankarshan Das Adhikari: Initiated by Srila A. C. Bhaktivedanta Swami Prabhupada in 1971, Sankarshan Prabhu has been tirelessly working in Srila Prabhupada's movement for nearly 50 years. He serves as an initiating spiritual master, or Diksha Guru, within ISKCON, with disciples all over the world with an unceasing travel schedule that covers more than 50 destinations each year. He is well known for the Ultimate Self Realization Course, which has over 31,000 subscribers from over 100 countries, featuring a daily thought for the day, the video for the day, Q&A based on Srila Prabhupada's instructions, a weekly Bhagavad Gita lesson, thousands of online lectures and a lively online community of students. To join, please head to www.joincourse.com. Vishnupriya Devi Dasi: Having led a very pious life right from her childhood, she was initiated by Tamal Krishna Goswami in the seventies shortly after Srila Prabhupada's departure. She has been serving ISKCON tirelessly for over 40 years now. She travels with Sankarshan Prabhu assisting him and intently serves self-manifested deities of Sri Sri Radha Damodar in each place in a true spirit of "yukta vairagya". She helps devotees around the world practically apply the principles of Krishna consciousness in their lives in an endearing and honest manner. She is referred to affectionately as "Gurumataji" by many around the world. She is well known for her Bhagavad Gita readings and concise answers even to difficult questions. Both Sankarshan Prabhu & Vishnupriya Mataji, at the time of their wedding, decided not to enter into family life, but instead, help push forward Srila Prabhupada's movement as Grihasthas, and later Vanaprasthas. Despite their advanced age, they dedicate over 18 hours of their day in service of Srila Prabhupada and Krishna. Please make the best of their personal presence at ISKCON Scarborough. Please contact iskconscarborough@hotmail.com if you would like to have house programs as well as if you would like to take part in the book distribution events. ISKON Scarborough. Simple theme. Theme images by enjoynz. Powered by Blogger.